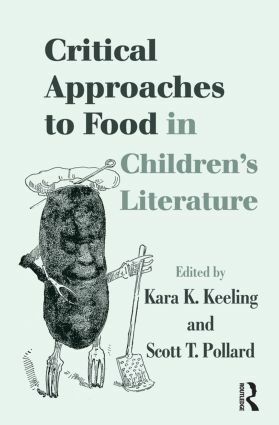 Critical Approaches to Food in Children’s Literature is the first scholarly volume on the topic, connecting children's literature to the burgeoning discipline of food studies. Following the lead of historians like Mark Kurlansky, Jeffrey Pilcher and Massimo Montanari, who use food as a fundamental node for understanding history, the essays in this volume present food as a multivalent signifier in children’s literature, and make a strong argument for its central place in literature and literary theory. Written by some of the most respected scholars in the field, the essays between these covers tackle texts from the nineteenth century (Rudyard Kipling’s Kim) to the contemporary (Dave Pilkey’s Captain Underpants series), the U.S. multicultural (Asian-American) to the international (Ireland, Brazil, Mexico). Spanning genres such as picture books, chapter books, popular media, and children’s cookbooks, contributors utilize a variety of approaches, including archival research, cultural studies, formalism, gender studies, post-colonialism, post-structuralism, race studies, structuralism, and theology. Innovative and wide-ranging, Critical Approaches to Food in Children’s Literature provides us with a critical opportunity to puzzle out the significance of food in children’s literature.